Lendit Europe time of the year again. My fourth time as a particpant of the London conference. It is now marketed as an ‘Event for Innovation in Financial Services’ and that means a wider scope of topics – and presenting companies – than in earlier years, when it had a single focus on p2p lending / marketplace lending. I truly enjoyed the conference, it had quality sessions and its high level attendants (more than 1100) allow great networking and making interesting contacts. From my viewpoint the first prediction is the one with the highest probability to come true, the second one is mainly important for the US market and it is actually the third one that is most interesting (but also most open). There are connections to another development that goes into the same direction and surfaced in several other sessions: More and more fintechs in this space are cooperating to better serve the customer and integrate multiple products into one user experience. Furthermore there were several sessions around machine learning, artifical intelligence and automated underwriting with a wide range of opinions to what extend processes will be fully automated or whether human intervention or oversight is stll desireable for some specific decisions. Looking at the scene from a geograhical perspective, many panelists emphasized that there are still a lot of difference between regions. The Americas, Asia or Europe (or even areas inside Europe) show a lot of differences no matter if the specific panel discussed funding, risk, investor yield, regulation or banking. So while many (especially VCs) would love to see fintech innovations that work globally and (if they are consumer faced) reach billions – that is extremly hard to achieve and therefore probably not going to happen in the near future. This touches several speakers commenting and speculating whether the big tech giants like Amazon, Facebook, Google or Apple have ambitions and plans to offer financial services as they cater to a global audience, and what impact that would have on banks and fintechs. I found some aspects of this interesting, but mostly those discussions are futile because I feel there is such a lot of speculation involved and no real indicators that any of these companies are making steps in that direction. (sorry if there were any hard facts presented, I might have missed them as I did not see all the sessions). I enjoyed Pitchit, where 8 startups battled for the vote of the jury and the audience. Swiss Sonect won both by hoping to replace ATMs by a platform approach where merchants can become the point where cash is dispensed (this is actually in collaboration with banks as they want to reduce the costs for maintaing ATM infrastructure and not anti-bank as it might sound on first impression). All sessions at Lendit were recorded and will be made available over the next days here. Seems like next year Lendit might come to a different location. The exit survey asked attendees to rate how they would like Frankfurt, Berlin, Barcelona vs London again. Spanish p2p lending marketplace LoanBook announces a new partnership with Sage, provider of cloud accounting, payroll and payments software, to offer Sage’s Spanish customers a direct, in-product channel to alternative finance. As part of the collaboration, Sage will offer its SME and accountancy customers access to LoanBook’s working capital loans, both in-product and within Sage’s wider ecosystem, stating Sage’s customers will benefit from a dedicated loan request portal enabling LoanBook to access customer data in order to improve the quality and speed of its loan underwriting. Sage already has partnerships with other p2p lending marketplaces like Funding Circle and Marketinvoice. LoanBook has lent 21 million Euro to Spanish SMEs during the last 12 months and says it if providing a net annual return of over 5% for its investors. This p2p lending statistic table contains the loan originations of p2p lending companies for last month. 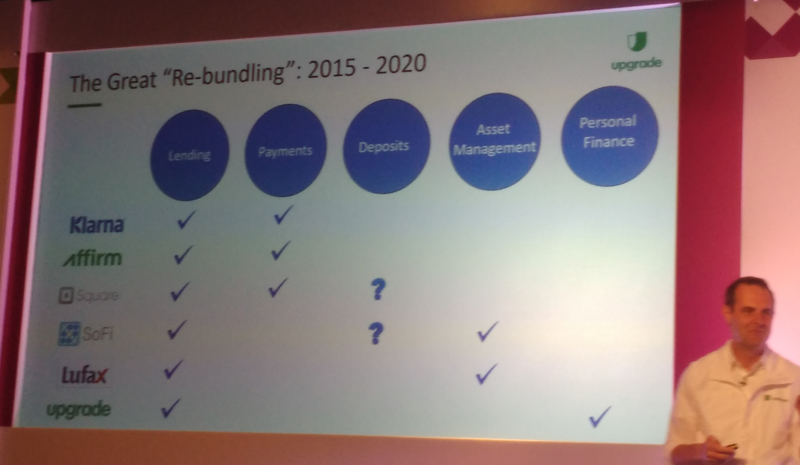 Funding Circle leads ahead of Zopa and Ratesetter. The total volume for the reported marketplaces adds up to 404 million Euro. I track the development of p2p lending volumes for many markets. Since I already have most of the data on file, I can publish statistics on the monthly loan originations for selected p2p lending services. This month I added Raize, a marketplace in Portugal. Want to meet representatives of many of the listed companies? Attend Lendit London in October – use discount code WiseclerkVip to get a 15% rebate on registration.